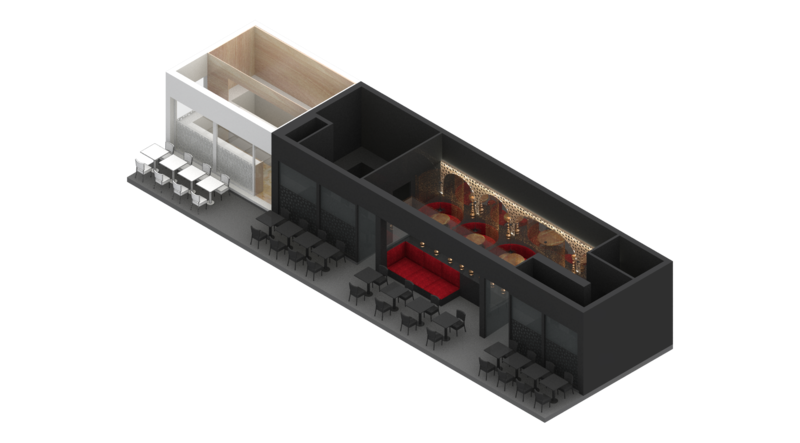 ÜberRaum Architects has designed the interior fit out for a Shisha shop on Lansdowne Row, Berkeley Square. The design combines oriental patterns with modern design elements. 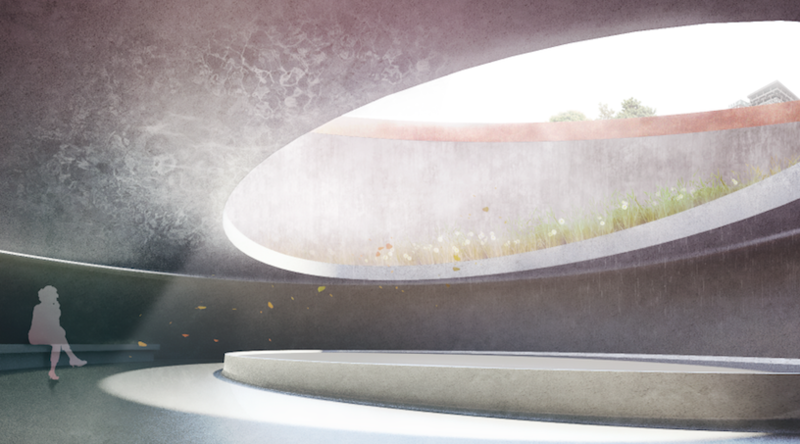 Our proposal for the RIBA Gasholder Bases competition is about transforming uninhabitable voids in tranquil cemeteries. The Spirited Gardens are made up of five elements, providing calm places for contemplation. Each space considers the varying levels of contrast between light and shadow, nature and architecture, aboveground and below-ground, remembering the undeniable contrast between life and death. The Memorial Wall exists on the periphery of each space, creating a place for visitors to place objects of sentiment. The lake is designed to capture the natural beauty and pureness of water. The simple palettes combined with sweeping curves respect the large circular nature of the wall that extends to the sky. The forest engages with nature, filling the voids with rich depth extending beyond the copper wall. Each Sanctuary is carefully designed for the visitor to have unique experience using light and sound. It has easy access, allowing anyone to observe the fascinating views made up from layers of light, nature and architecture, each varying with multiple landscapes.